Martha Headrick Gandee was born June 14, 1937 in Seymour, TX and passed away September 4, 2018 in Mesquite. She was preceded in death by her husband, Andrew; her grandson, Scott Gandee; parents, Fred and Annie Lee Headrick; brother, Sam; and sister, Marion Lewark. Martha is survived by her daughters, Nancy Snedden and husband, Scott; Gay Miller and husband, David; sons, Tracy and wife, Petey; Patrick and wife, Kim; 7 grandchildren, and 12 great-grandchildren; sisters Mae and Carol; brothers, James and Ben. Martha was a graduate of Brewer High School Class of ’55, as the salutatorian of her class. She retired from Atlantic Richfield Company. She was an outgoing and gracious lady always entertaining family and friends in her home. She was a lover of the performing arts and enjoyed sharing with others. 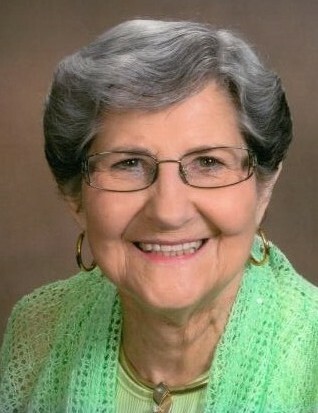 Eager to be a servant, Marty served her community as well as the Lord. She lived her faith. She was committed to her family, her children, grandchildren, and great-grandchildren.